Eldridge Plays and Musicals. Scrooged Up! The Hillsdale Community Theater wants to produce "A Christmas Carol," but they don't have enough actors to play the extraordinarily large number of parts. So their undaunted director, being resourceful (if not totally realistic), has triple and quadruple-cast the roles. And since everyone in sight has been recruited, the cast also fills in as costumers, stagehands and technicians. The impossibility of this situation brings tensions to a comical head as the final rehearsal invites one calamity after another. 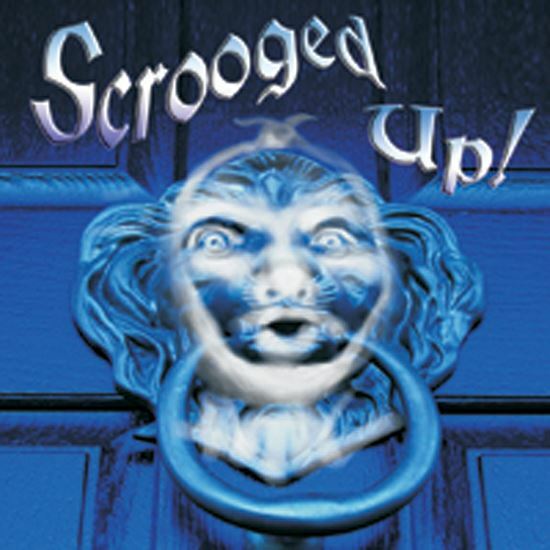 "Scrooged Up!" provides a Dickens of a time for everyone! About 30 minutes. A.: Actually, I didn't write it. I just copied down everything that happened when I tried to stage "A Christmas Carol" last year with only 10 actors. (It's getting harder and harder to find performers who aren't already doing that show somewhere else in town!) Fortunately, the tombstone fire closed us down before the audience had time to riot. A.: As one who has spent most of his life in the dark at the back of theaters, my favorite is the director, Claude. It's therapeutic to realize there are other people who take joy in such an odd occupation. Q.: WHERE DID THE CHARACTERS COME FROM? ARE THEY BASED ON PEOPLE YOU KNOW? A.: I have met every one of them at one time or another. They are all of those dedicated, hard-working and often frustrated people who try to keep this thing called "theater" alive and healthy. A.: I wanted the audience to enjoy as much as we do those behind-the-scenes antics we relive year after year through stories in the green room. Sometimes, the real show takes place for weeks before that opening night curtain. A.: Our theater company has never had so much fun with any other show. We couldn't tell where the rehearsals ended and the production began.